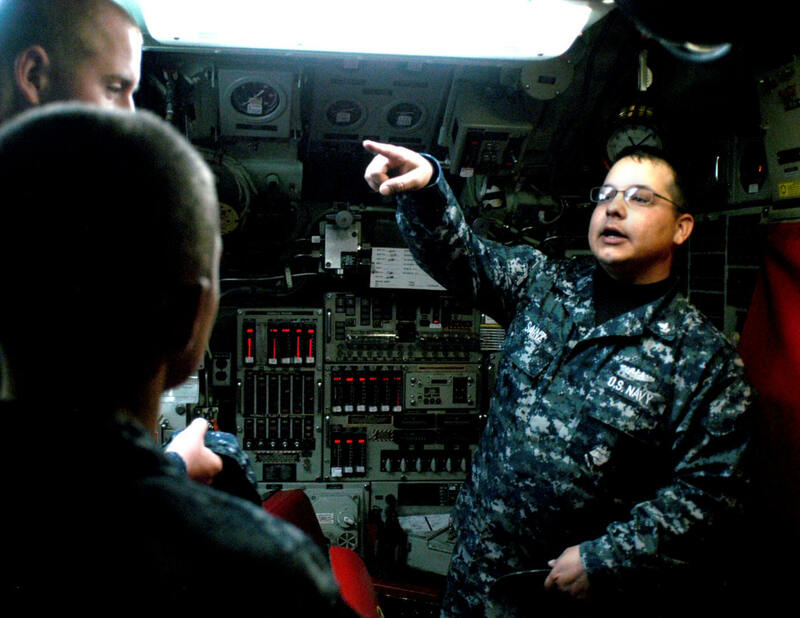 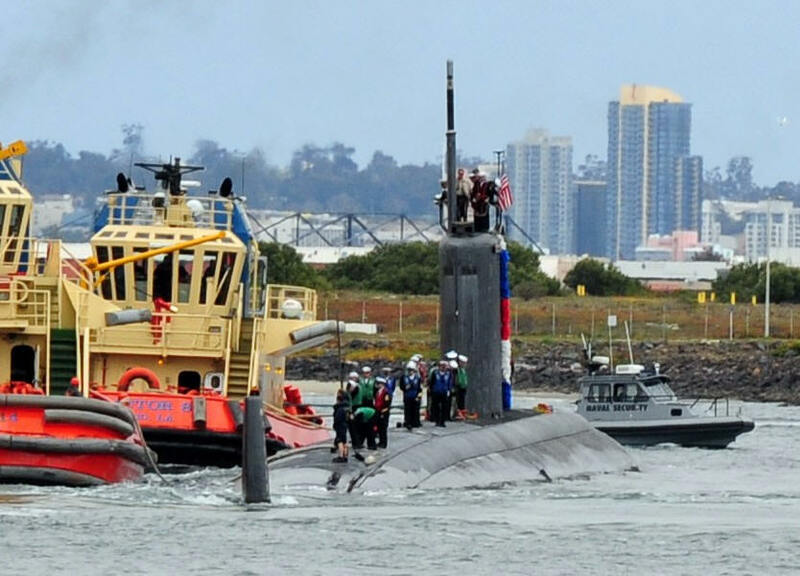 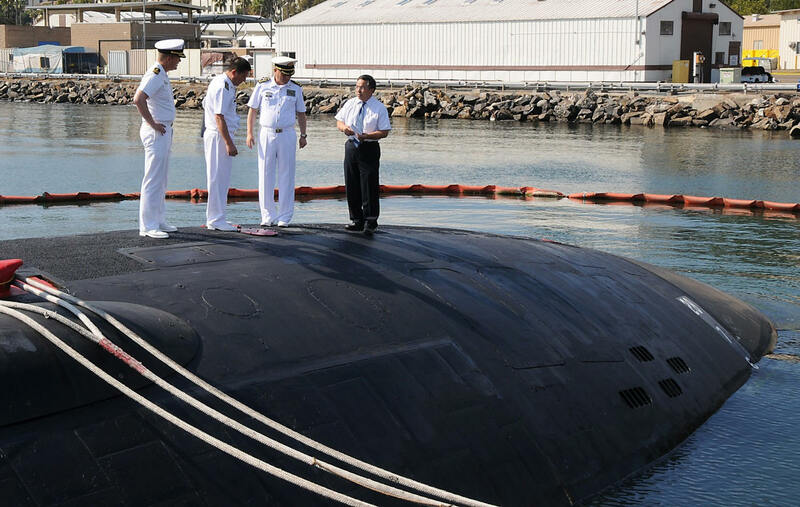 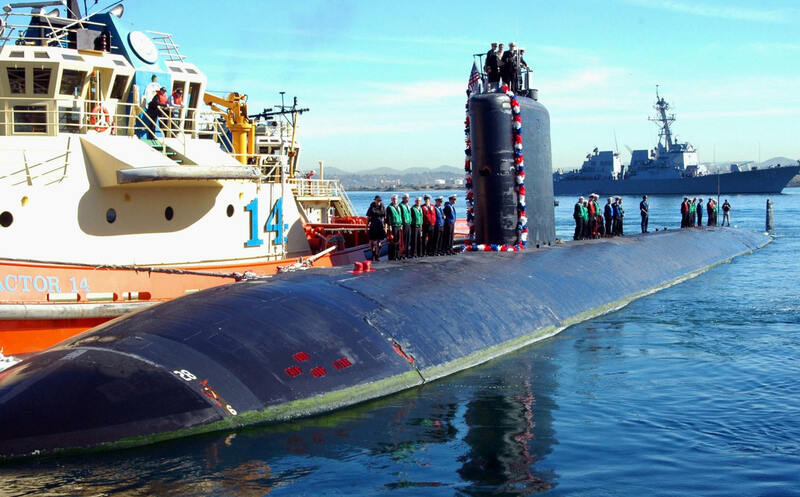 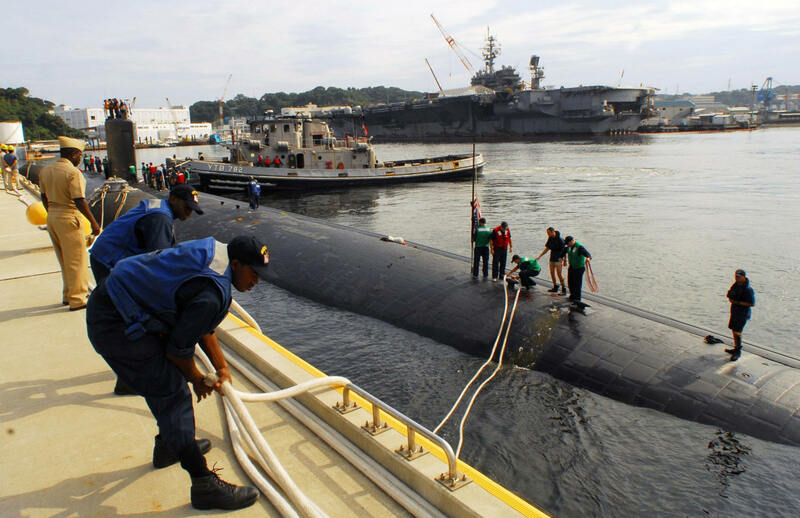 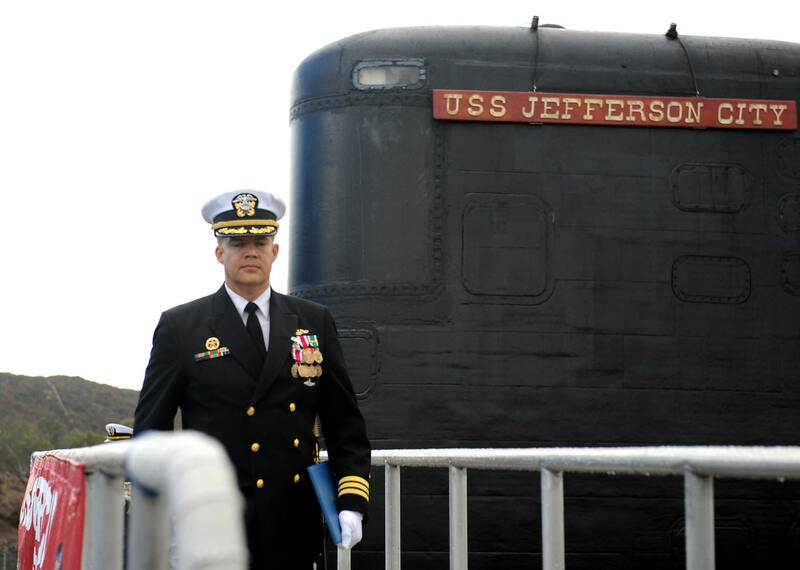 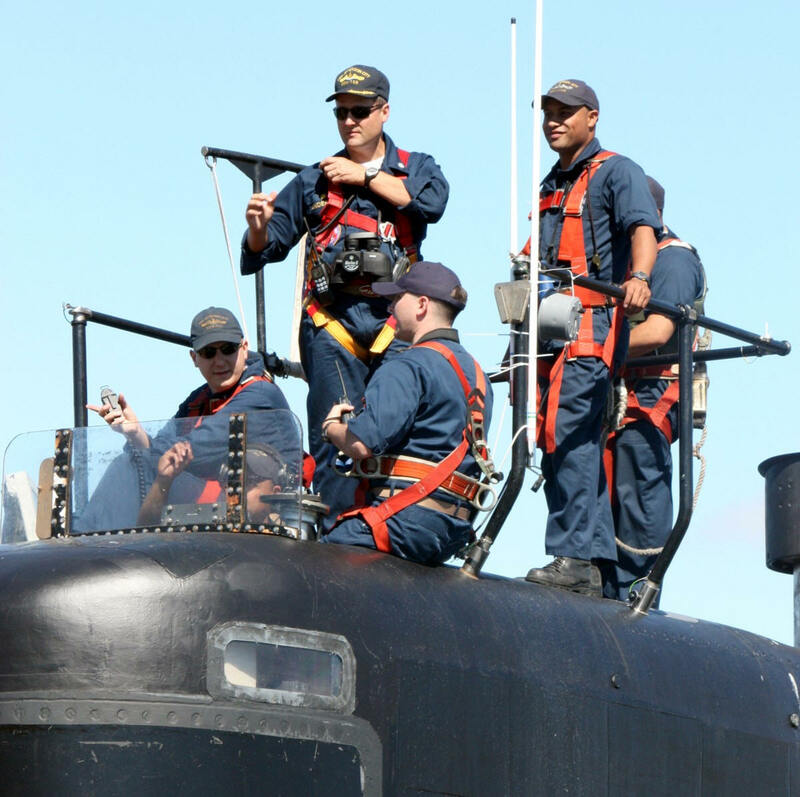 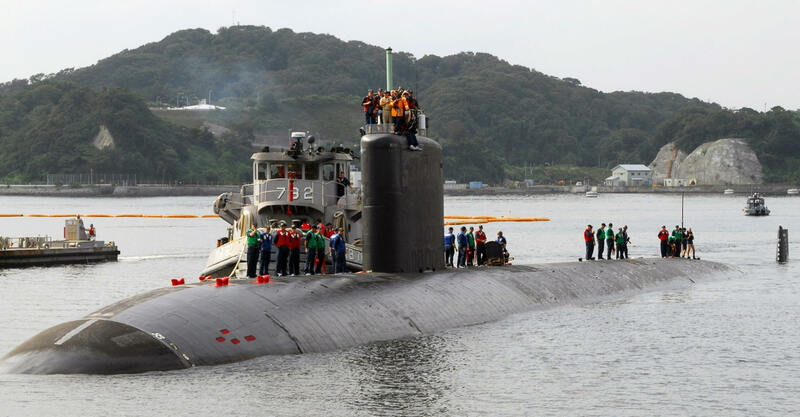 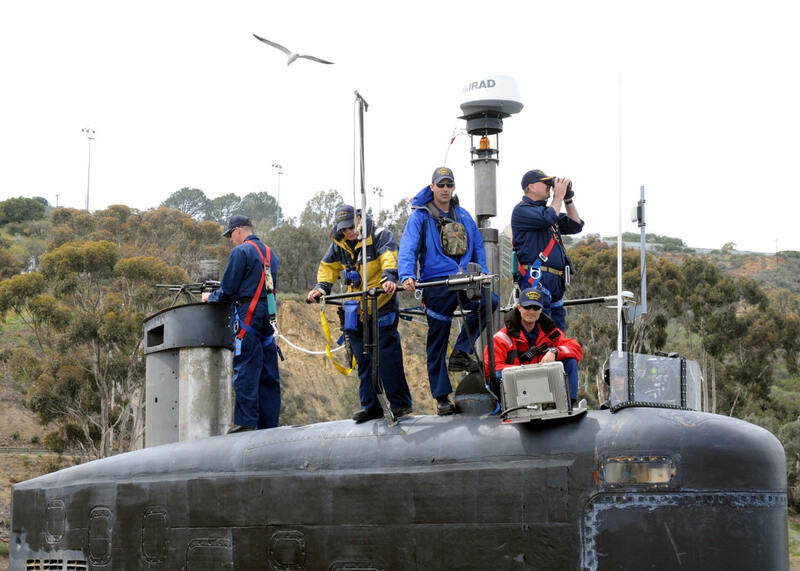 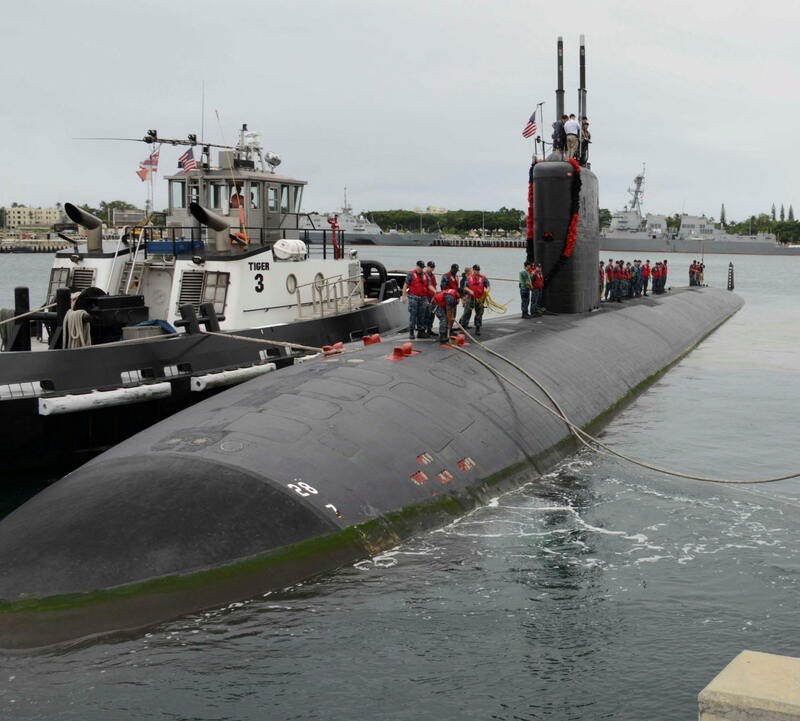 CDR Brien Dickson departs the submarine following a change of command ceremony aboard USS Jefferson City (SSN 759). 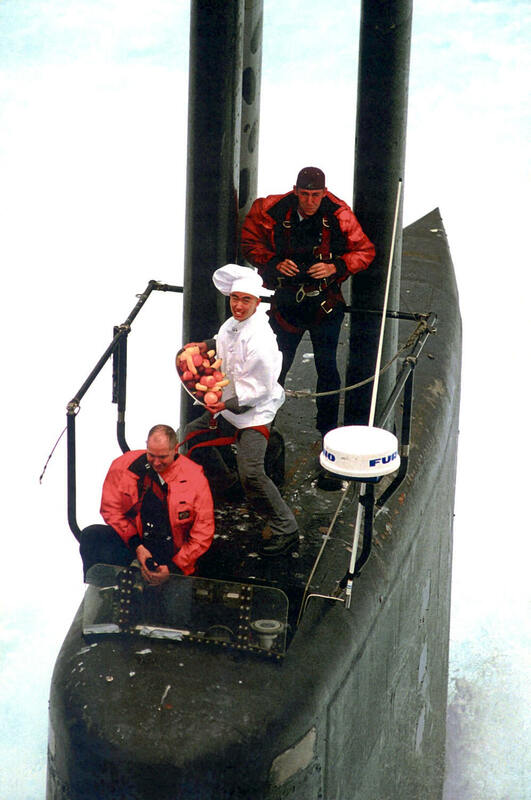 First Place Illustrative CAPTION INFORMATION: MSSN (SS) Yin Lau brings food to the crew anytime and anywhere. 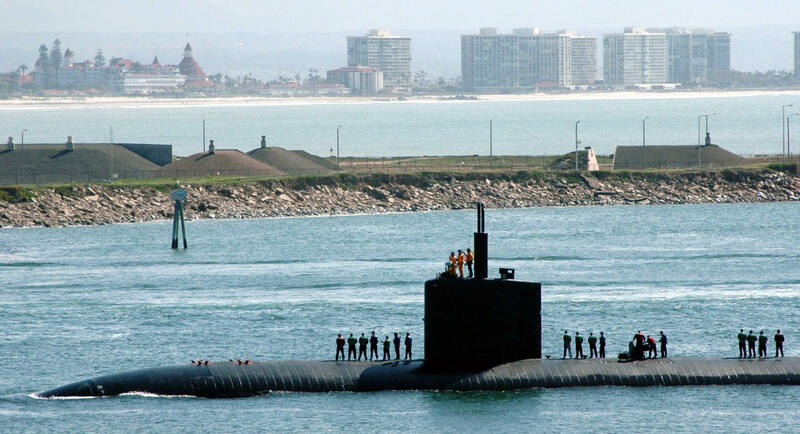 Here he stands on the bridge of his undersea kitchen, USS Jefferson City (SSN 759). 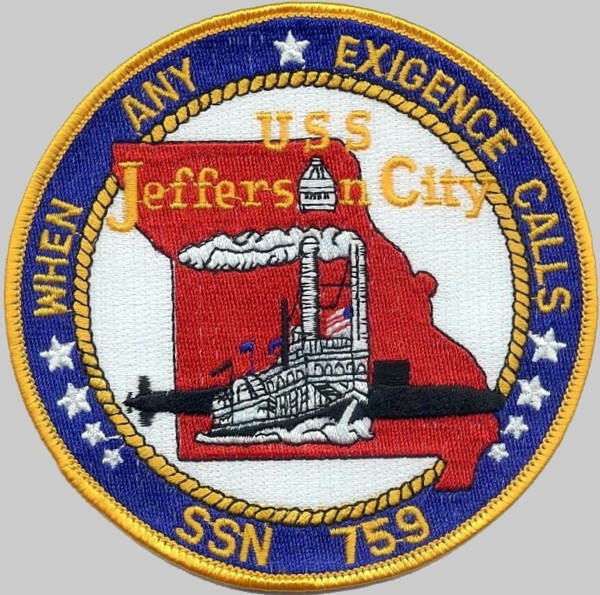 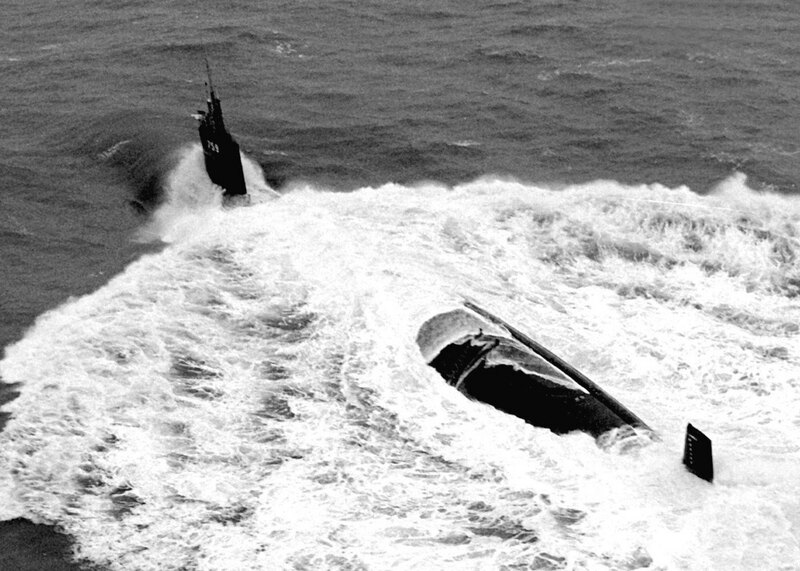 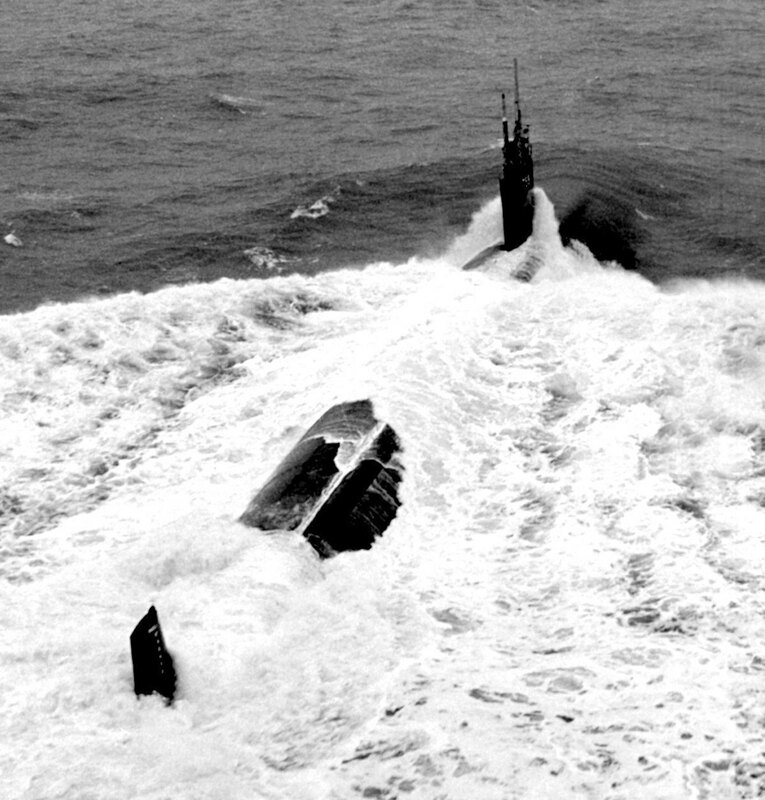 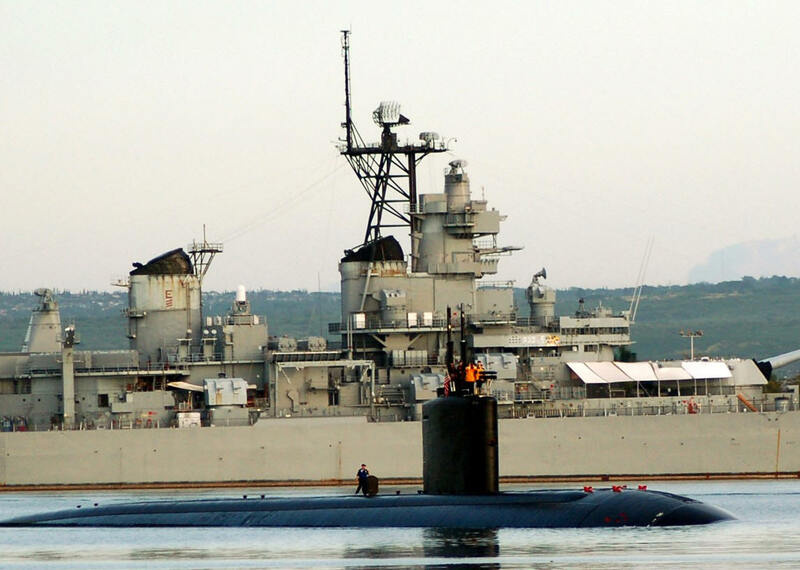 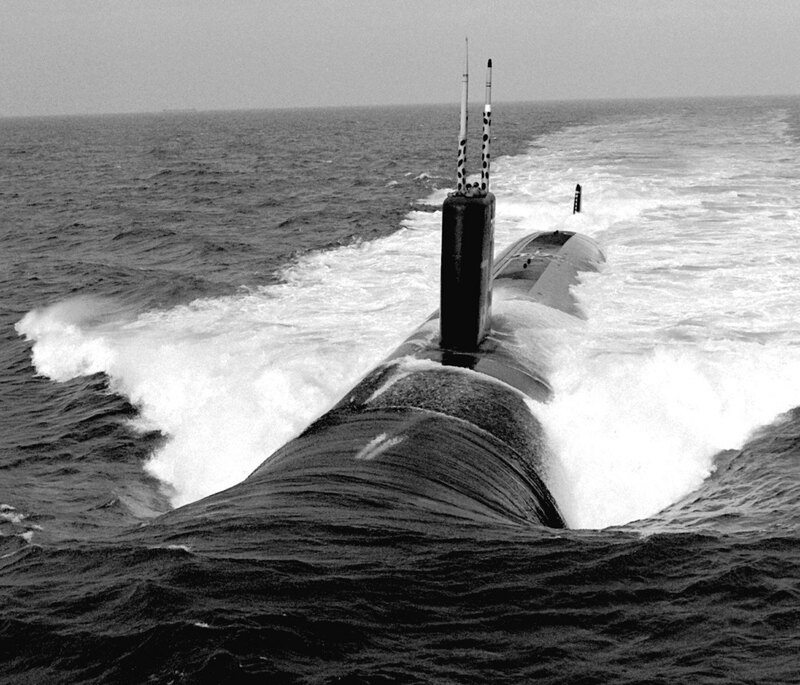 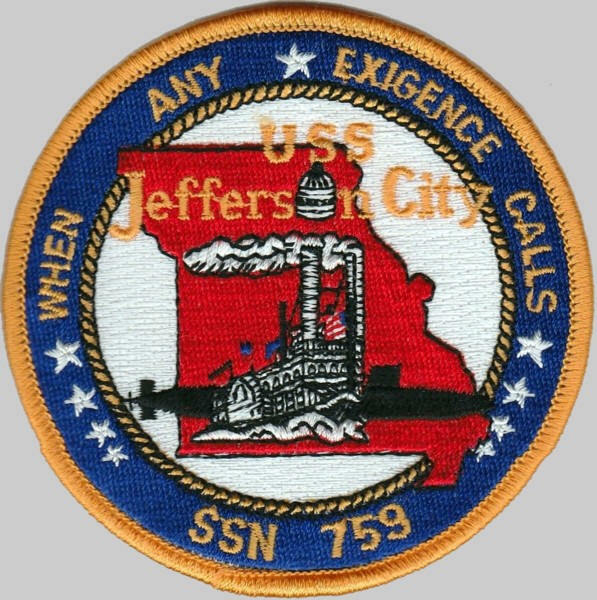 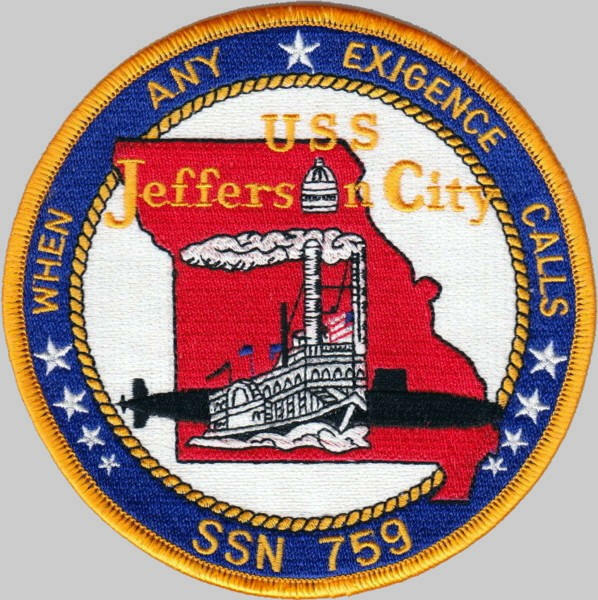 USS Jefferson City (SSN-759), a Los Angeles-class submarine, was the only ship of the United States Navy to be named for Jefferson City, Missouri. 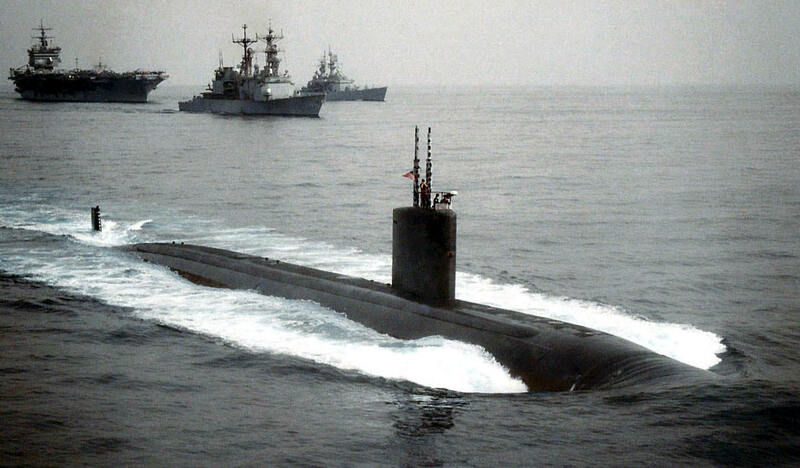 The contract to build her was awarded to Newport News Shipbuilding and Dry Dock Company in Newport News, Virginia on 26 November 1984 and her keel was laid down on 21 September 1987. 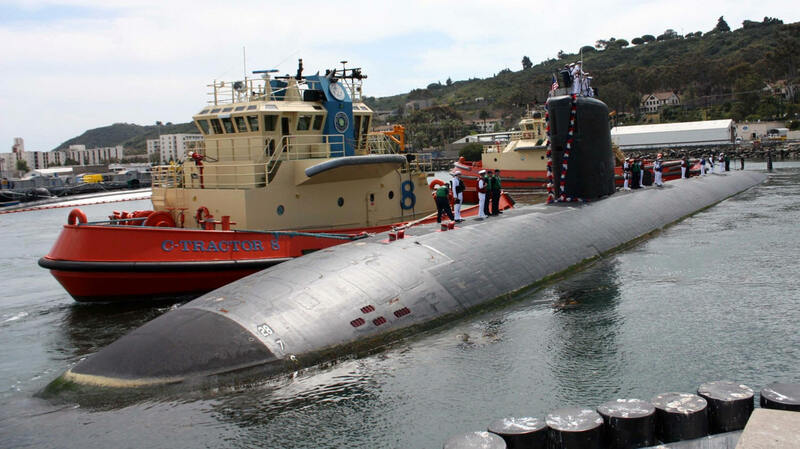 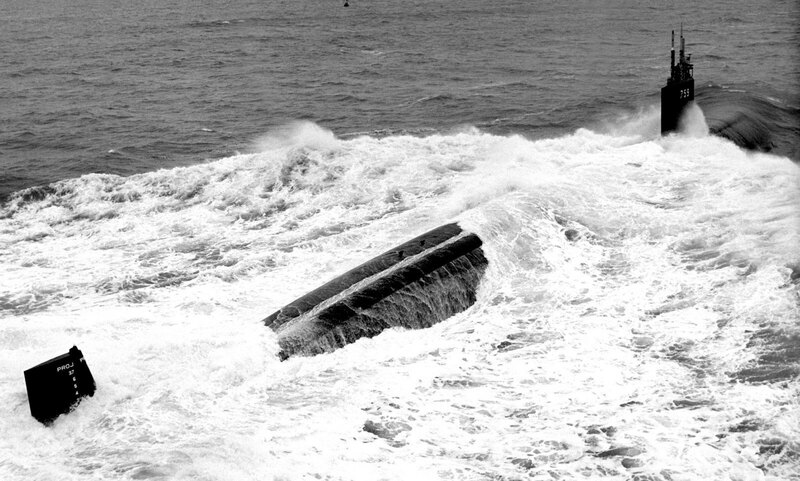 She was launched on 17 August 1990 sponsored by Mrs. Susan A. Skelton, and commissioned on 29 February 1992, with Commander Russell Harris in command. 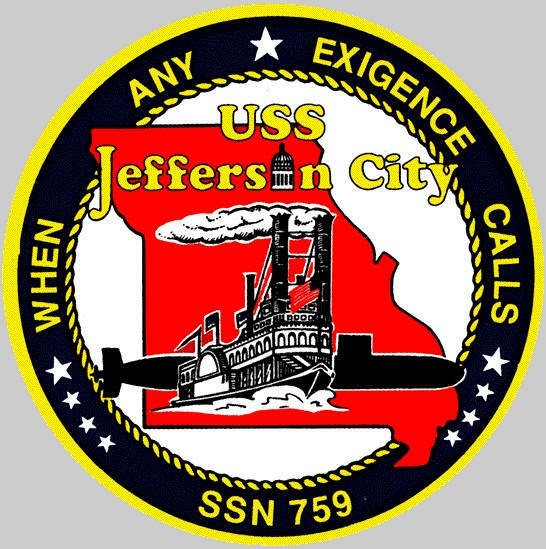 Jefferson City launched two UGM-109 Tomahawk Block III missiles as part of a strike on Iraq on 3 September 1996.